Since we returned from our recent trip to Copenhagen, I can’t stop thinking about how much I loved it. 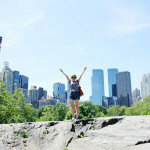 It truly is the most amazing city, so I’ve pulled together a guide on our time there with some top tips for anyone planning a visit. We headed over to Denmark via a quick (less than 2 hours!) 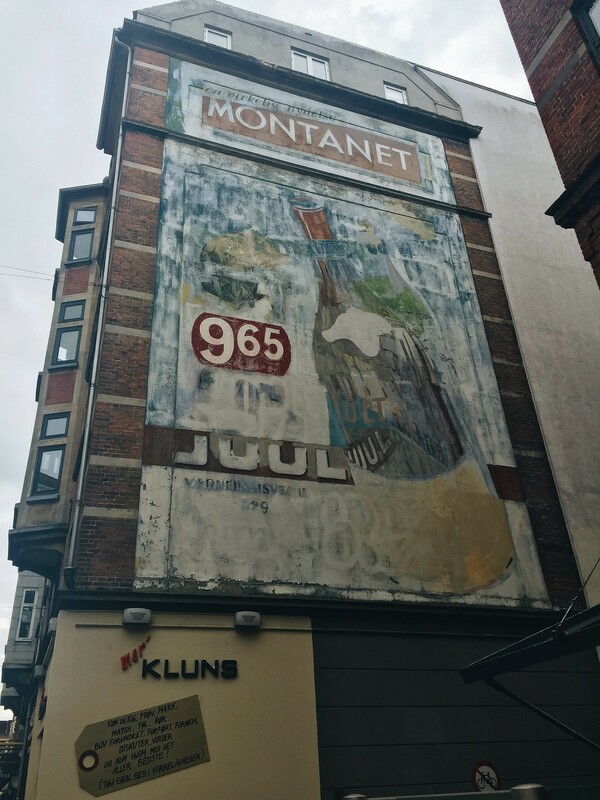 flight from Manchester and stayed in an AirBnb apartment in the Vanløse area – more on this in a separate post. We had 3.5 days to explore the city, arriving on Tuesday afternoon and leaving on Friday night, but I’m now itching to get back and discover more. Copenhagen is without a doubt, one of the most inspiring places I’ve ever been. Here’s what we got up to! 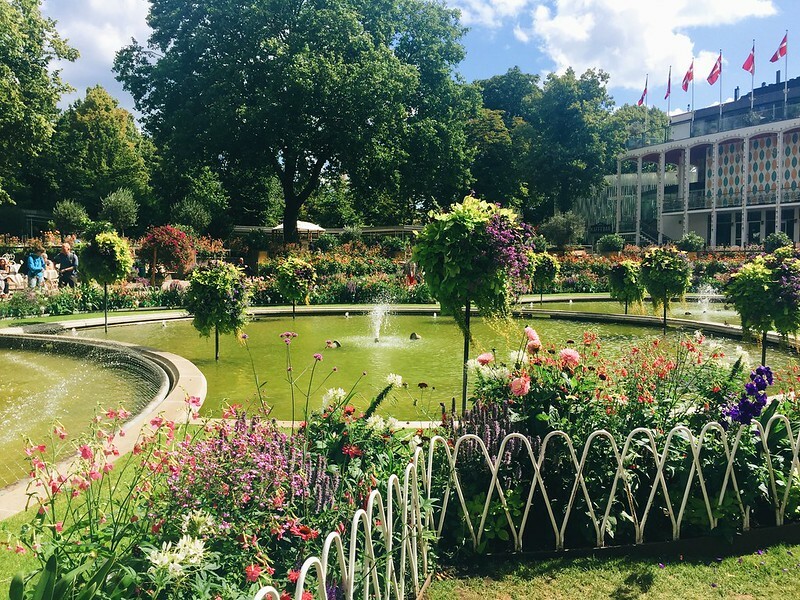 Our first full day was spent in the central part of Copenhagen, starting at Tivoli Gardens. 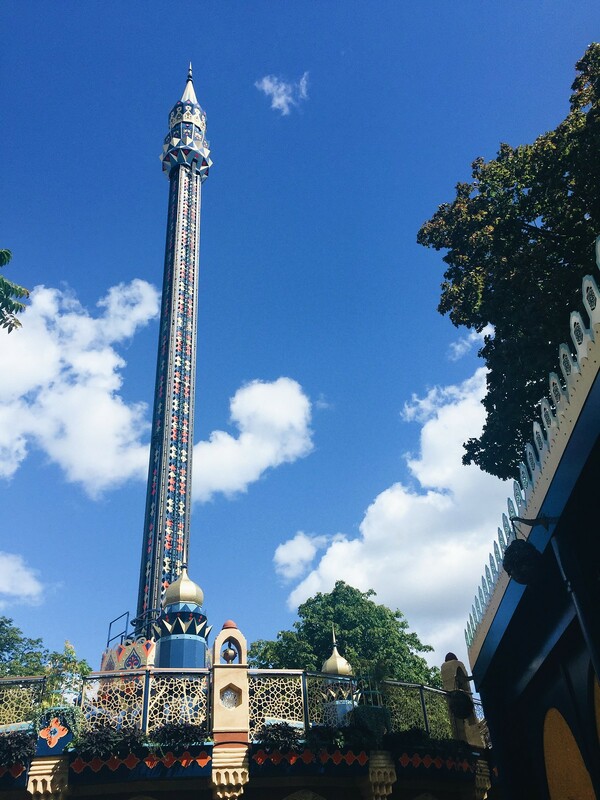 Tivoli is the second-oldest amusement park in the world (it opened in 1843!) and it’s totally charming – think hilarious wobby mirrors and old-school rollercoasters mixed with lush gardens and blooming flowers. It costs 110 DDK to get in (more if you want to go on the rides, although you can pay for them individually once inside) but there’s plenty to see once you’re in and it’s lovely to just wander around. After we’d exhausted Tivoli we walked up Østergade, the main shopping street in the city centre. 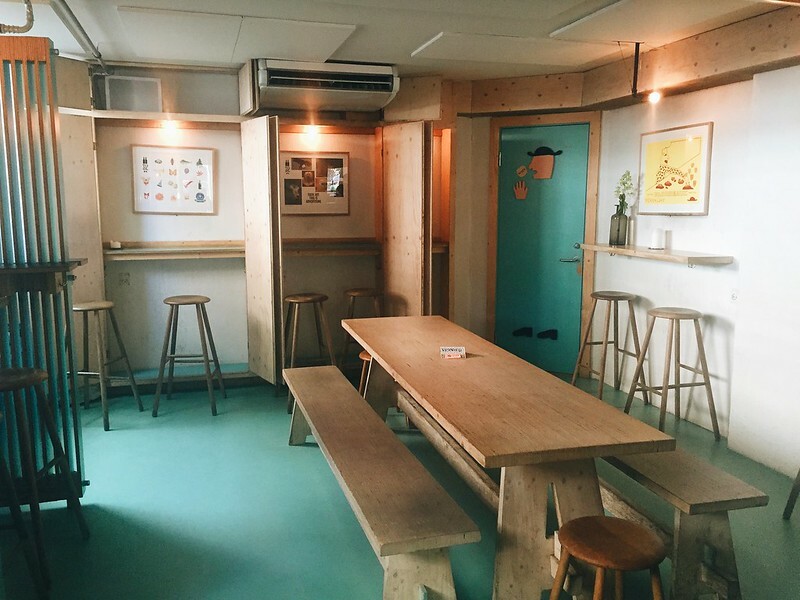 This is the only place we visited that was busy – there were lots of people about and it was very touristy, but we had two goals – Flying Tiger and Hay House. Both were worth the crowds, the former for cheap homewares and the latter for awesome interior inspiration. Then we peeled off the main street onto a quieter side street where we stumbled across the best hotdogs ever from DØP followed by cake at one of the many cute coffee shops. 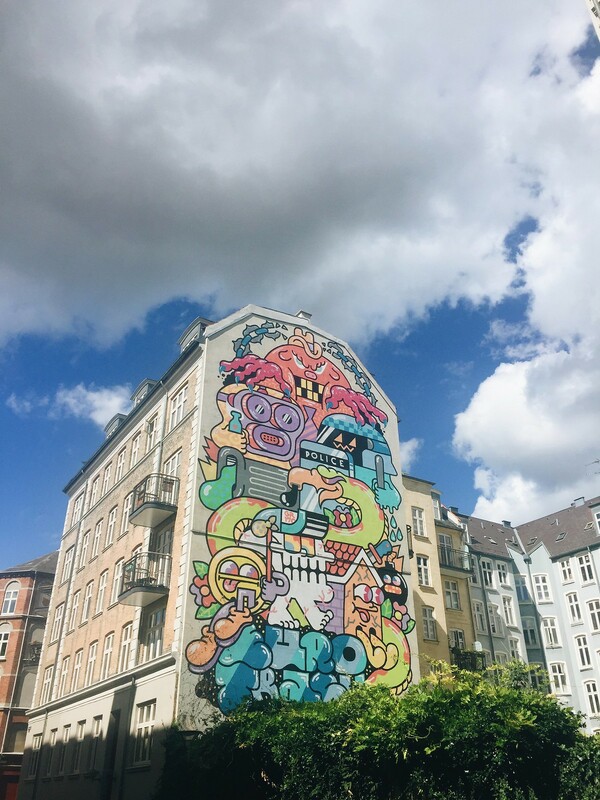 For day two, we headed out to the Nørrebro and Frederiksberg districts. 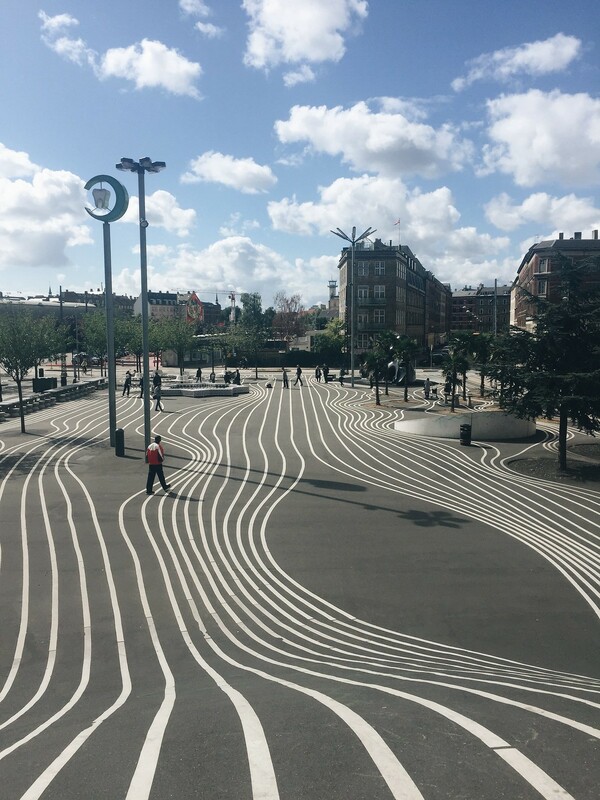 We started at Superkilen Park in Nørrebro, an amazing public park with super cool street art and loads of playground equipment to mess about on. After an hour or so of monkey bar swinging and play-boxing in the ring, we walked to Sankt Hans Torv square in the centre of Nørrebro and stopped for a drink in the sun. 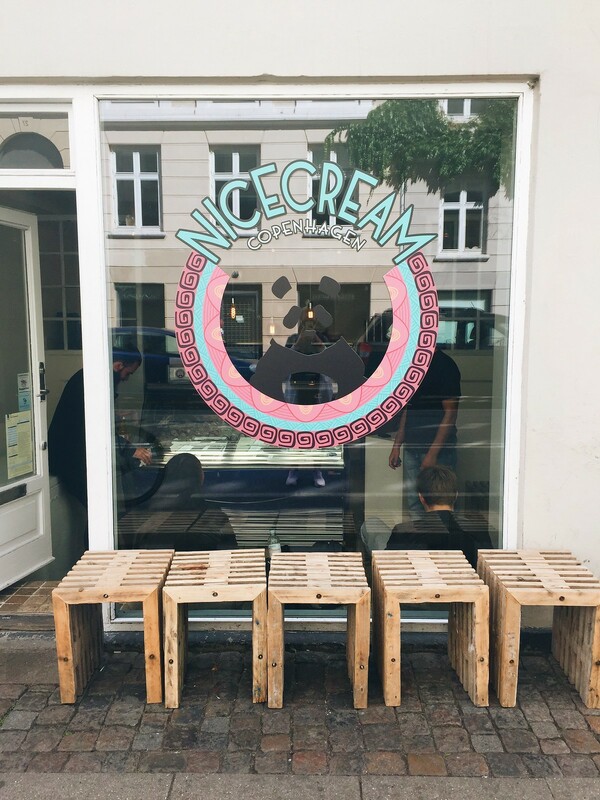 Nørrebro is described as the ‘Shoreditch of Copenhagen’ and it lives up to its name – it has a shabby, hipster vibe with lots of vintage and antique shops, indie coffee shops and, most importantly, the Acne Archive store. 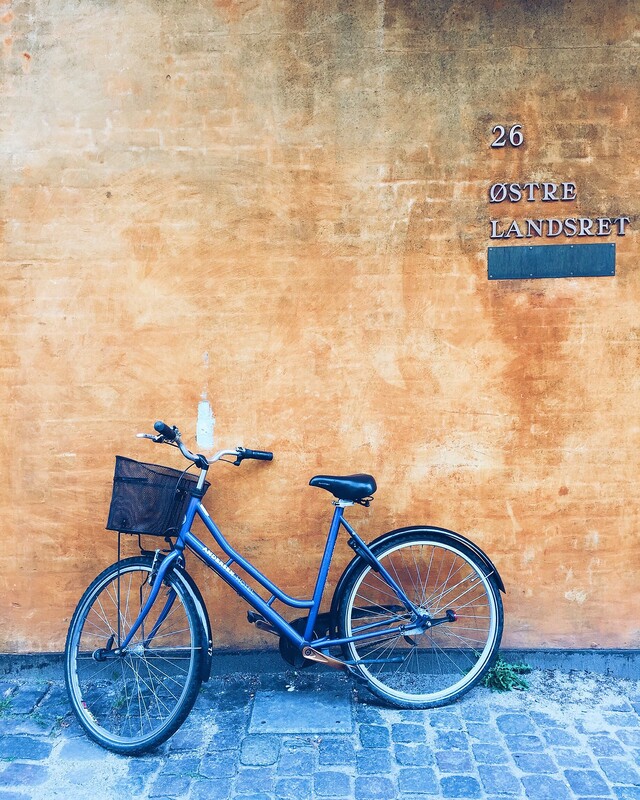 From Nørrebro, we jumped on GoBikes and rode across the city to our next destination – Frederiksberg. 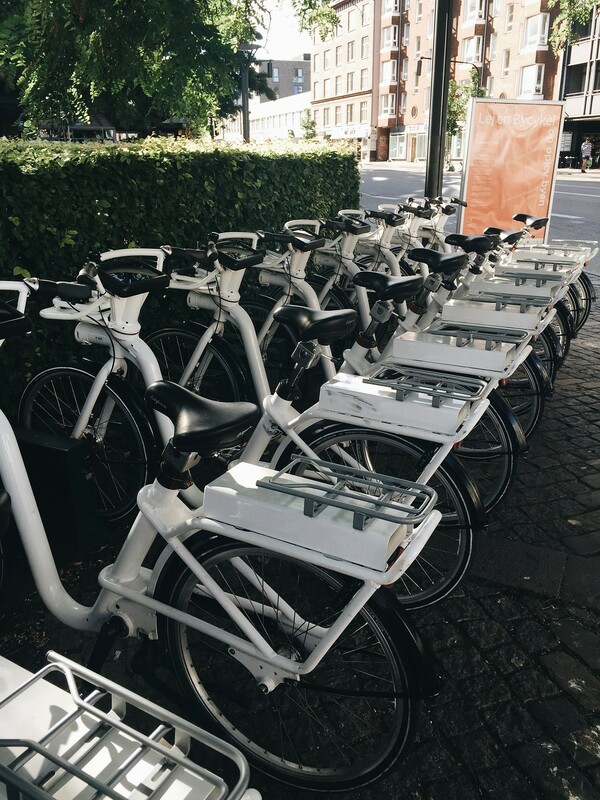 We loved the GoBikes – run by Bycyklen in CPH, there are stations all over the city and each bike has a built-in operating system, so you can sign up for an account, unlock the bike and type your destination in to the GPS. The bikes cost 25 DKK per hour and they have electric assistance, making them so easy to ride. We did have a few technical problems with two of our bikes but I think that was just bad luck! 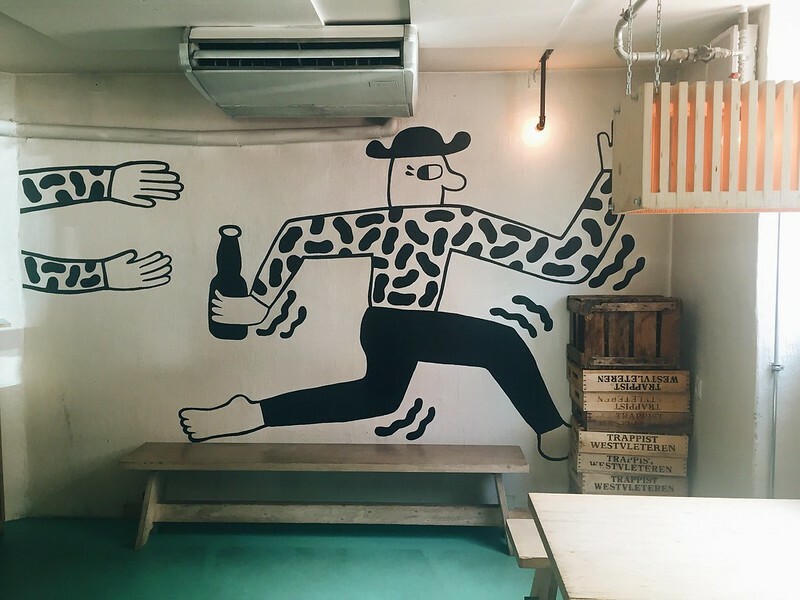 On our way to Frederiksberg we stopped off at Torvehallerne, an indoor/outdoor food market with stalls selling everything from fresh fish to Mexican churros, and then stopped again to grab a beer (soda for me) at Mikkeller & Friends. 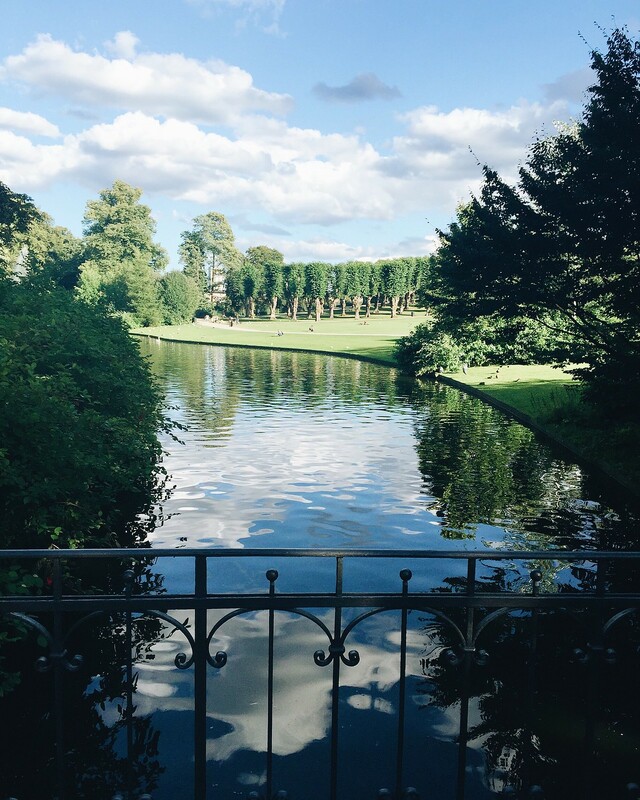 We reached Frederiksberg Gardens around 6pm – the perfect time to sit back on the grass and relax. 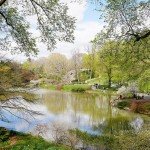 The gardens are absolutely beautiful and so peaceful, especially later in the day when the light is soft and groups of friends are meeting after work. Frederiksberg is more ‘up market’ than Nørrebro, with lovely boutique shops and amazing restaurants – we ate at Sokkelund in the evening and the food was totally delicious. 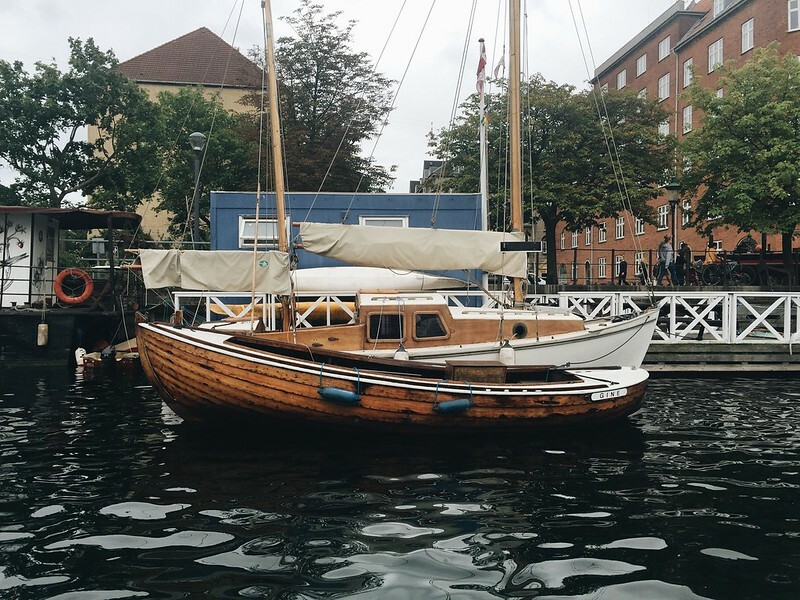 Before we headed back home we had time to discover two more key parts of Copenhagen – the Vesterbro district and the Nyhavn harbour. 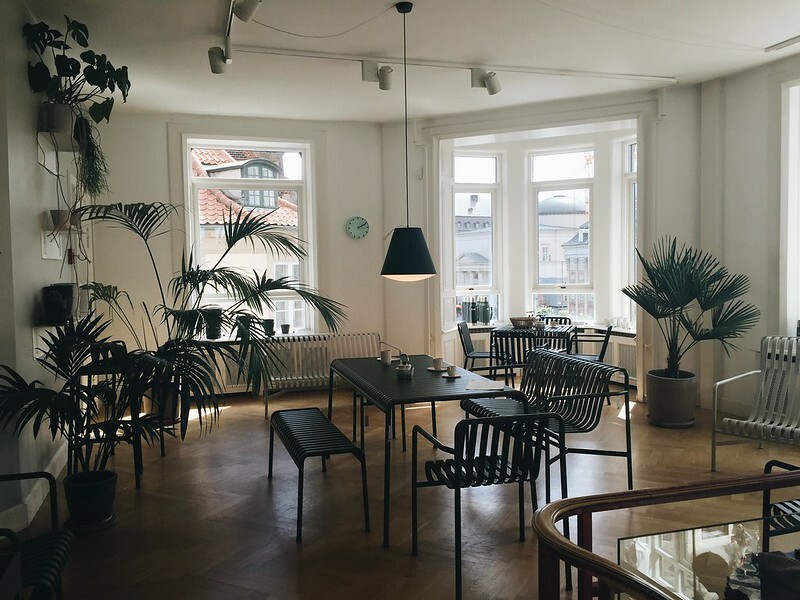 Vesterbro was first up and a short ride on the metro took us to the centre where we found lots of gorgeous design shops including Playtype, which is well worth a visit if you’re a fan of beautiful things. 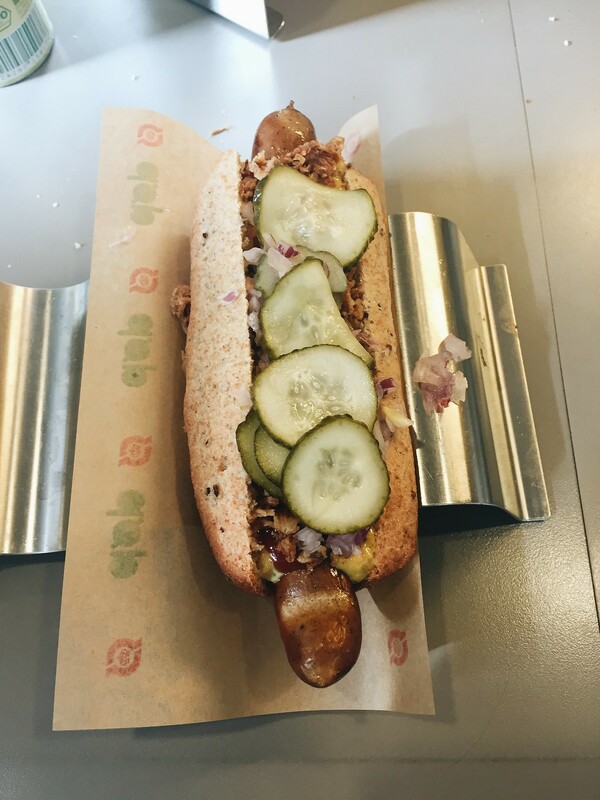 We walked down Værnedamsvej – a foodie street packed with cafes and restaurants – and stopped for the most delicious pork sandwich at Meyers Deli before we were back on the metro to our next destination. Nyhavn is the harbour area of Copenhagen and was our last stop before our flight home. It’s pretty touristy but definitely worth a visit – for 80 DKK you can jump on a canal boat tour and see loads of Copenhagen’s most famous sights, all at once. Which is exactly what we did! We sailed through the freetown of Christiana, a hippie commune where photos are banned and there’s a 25 year waiting list for houses (! ), then past the opera house and theatre – two examples of stunning Danish architecture. Then it was past the Danish Royal Family’s yacht and an exclusive housing complex where apartments cost upwards of £6m, around the Little Mermaid statute with a quick glimpse of the spiral church before we were pulling back in to the harbour. The tour lasted about an hour and 15 minutes and we saw loads – perfect for fitting in all the more touristy things without spending lots of time travelling between different areas. – The metro is quick, clean and really easy to use… once you work out the ticketing system! It took us a while to find out we could buy a CityPass, which allowed us to travel all over the city for 24 hours at a cost of 80 DKK. The ticket is sent as a text, so make sure you have signal before buying. We bought ours online here. 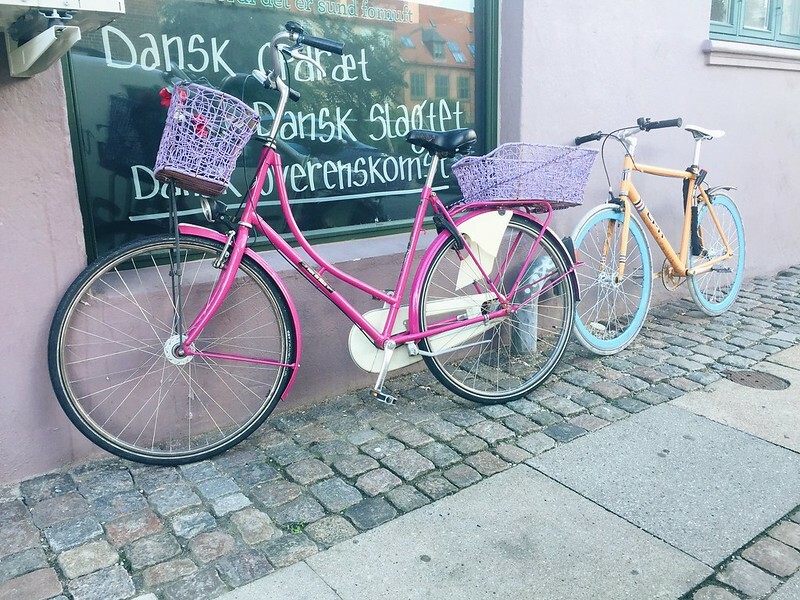 – When in Copenhagen, hiring bikes is a must. Literally everyone rides a bike so you’ll feel like a local, plus the roads are flat and there are dedicated bike lanes everywhere, making it very easy and safe. If you’ve got little ones, the Christiana bikes have cool pods on the front for them to ride in! – The currency in Copenhagen is Danish Kroner – the notes are pretty easy but the coins are very confusing and there seems to be loads of different ones! However, we found that practically every shopkeeper was delighted to help us with the currency and would often swap the confusing smaller coins for notes/easier big ones. 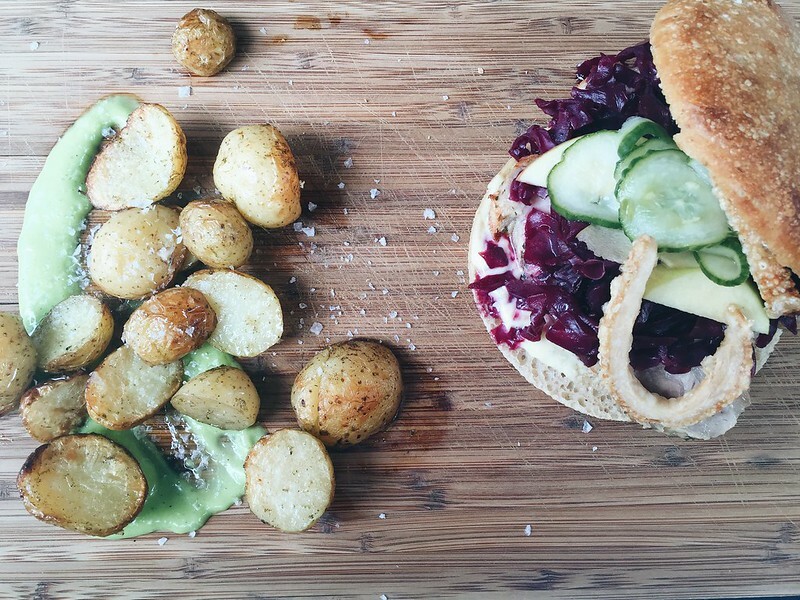 – Smørrebrød is a Danish delicacy – basically an open sandwich served on sourdough rye bread, they’re readily available in cafes and a must if you want to sample the local food. – Danes are so friendly and always happy to help – numerous people came to our aid with metro tips and street directions, without us even having to ask. Everyone we met spoke perfect English but a tentative ‘tak’ (Danish for thanks) went down a treat! I visited Copenhagen for the 1st time in June. Absolutely loved it too! I’m dying to go back so I can actually go inside the Tivoli Gradens. Looks so cool! 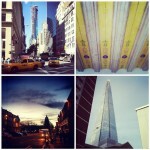 Loving your photos. You’ve captured the city beautifully! 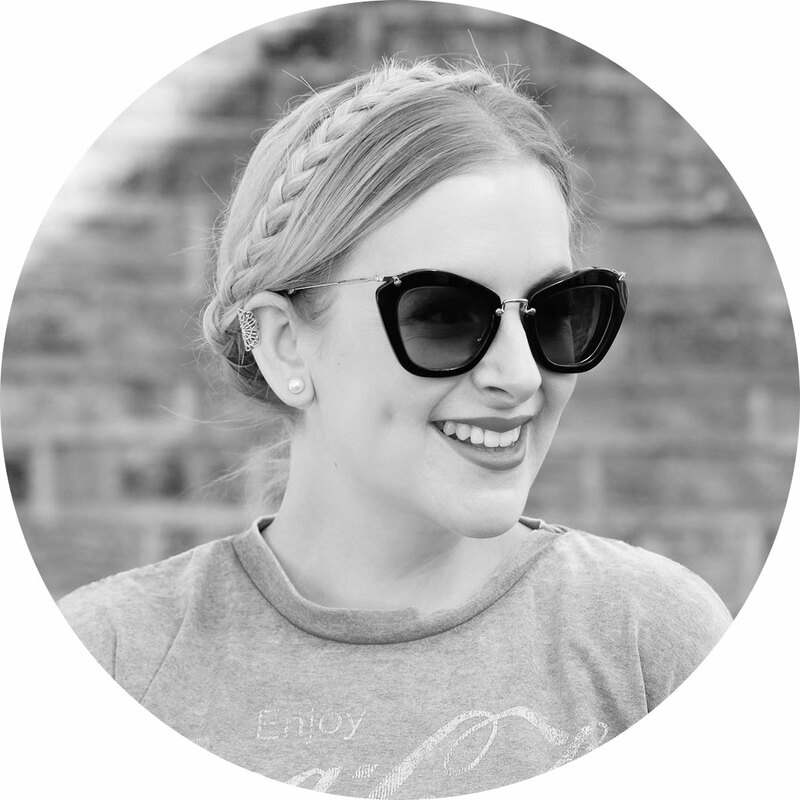 Great post Jen – we went to Copenhagen about ten years ago but think it’s changed a bit and also went in winter which was a bit too cold and the Tivoli was closed at that time of year. Looks like somewhere that would be ok to visit with a wee one especially if you stay in an Air B&B quite pram friendly. Apparently Stockholm really brill for that too. We have a Flying Tiger in Edinburgh just too tempting! I went to Lisbon JUST because of your amazing blog post on it, and now I see I have to go to Copenhagen too! It’s been on my list for ages so maybe next year (I need to stop going back to Paris, but I’m obsessed). I love this! Yes, definitely go – Copenhagen is up there with Lisbon as one of my favourite cities! 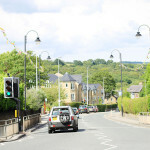 Beeeautiful pictures! I’ve always wanted to go to Copenhagen but never had the chance. Hopefully this will be rectified soon as it really does look like the prettiest and liveliest of places!